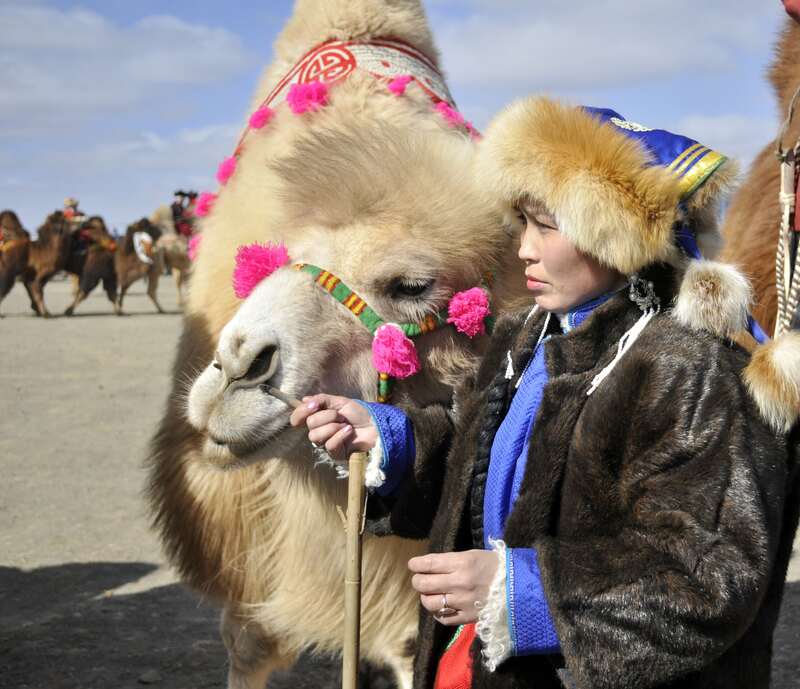 The Thousand Camel festival which held in every March in Mongolia’s Gobi is one of the major springtime events that are gaining popularity with both domestic and international travelers in the country. The Thousand Camel festival which held in every March in Mongolia’s Gobi is one of the major springtime events that are gaining popularity with both domestic and international travellers in the country. The Camel Festival is organized by the Amazing Gobi Association and supported by the provincial government to highlight the significance of camels for the local and national economy and to promote the camel herding traditions and showcase the skills of nomads in the Gobi. In 2016, a very special Camel Festival took place – to stage a record for the Guinness Book. In March of that year, 1115 camels came from provinces from Gobi region of Mongolia, to compete in racing of 15km distance and showcased skills of taming wild camel, camel packing, parade their decorated camels and riders in festive costumes, display their best breeding stock of camels, and enjoy cultural performances. Do you think there is nothing to see in Gobi except windy and sandy steppe? Nope, take a ride to Gobi to see camel festival on 6th to -7th March to witness the glorious event and discover camel heritages among the camel herders in Gobi region.